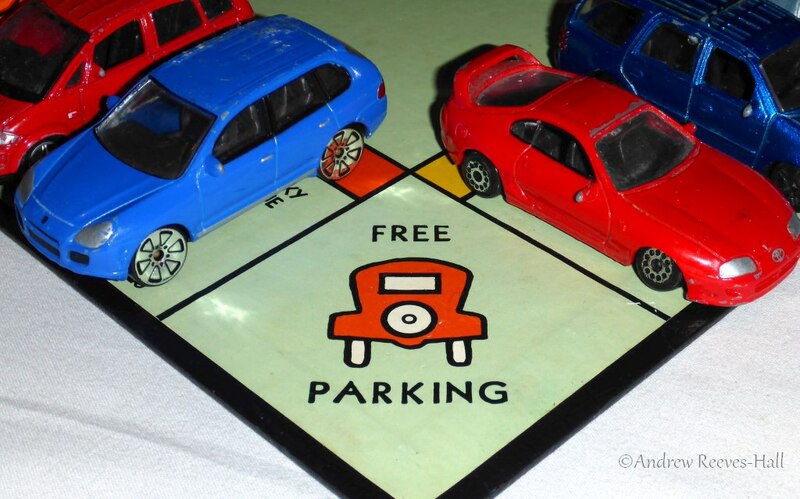 I love landing on the Monopoly® “Free Parking” space because in our household we get to collect all the money in the pot which was built up from paying government taxes and fees stated on Community Chest and Chance cards. This weekend, councils up and down the UK who are responsible for collecting parking fees are promoting their own giveaway of Free Parking as part of the Small Business Saturday UK day. The day’s theme is a fantastic idea – promoting all the varied small businesses who would dearly love you to consider the items they have as potential Christmas gifts. Many are struggling to survive and it is very good to support local entrepreneurs. Why, though, are councils ignoring the many other ways of getting people into these shops, and home again with bundles of Christmas presents? In support of Small Business Saturday UK, free parking for up to three hours is available in the (sic) all of the council’s town centre short stay car parks from 3pm on Friday 5 December and all day on Saturday 6 December 2014. No where can I find them promoting any extra bus service or public transit discounts, let alone additional bicycle racks being installed outside shops. The concept that people might actually also be walking to the shops from the new – and existing – housing near the town centre appears to be completely absent from their thinking, too. There is one advert in their programme, supported by the council, for Basingstoke Shop Mobility, who are offering a “wide range of scooters, walking frames, powered and manual wheelchairs” for hire. That’s good, especially as today is UN Disability Day. The car is king in Basingstoke; and it seems in many other towns throughout the UK. But in one Scottish city, Edinburgh, the council have woken up to the fact that their subsidy is not value for money. Why did they scrap it? …city centre businesses accepted the scheme had not been a key factor in attracting people into town. A councillor stated that the scheme at Christmas, and a similar one in the summer cost £96,000. Tax money they said could have been better spent. 9 December 2014: At least one council has offered free bus travel – St.Helens. Further information: CLICK HERE. ← Bingle! Cycle Proofing Bizzo!